Is Coconut Oil Really The Cure For Alzheimer's? Coconut oil has been considered by some as a treatment, and even a cure, for Alzheimer's disease. It claims to have an element that could benefit someone who has Alzheimer's. However, it cannot be clinically accepted due to the lack of experimentation. A lot of people believe that there is no cure for Alzheimer's -- and that is the absolute truth up to now even though there have been claims circulating the Internet that coconut oil can help cure Alzheimer's. Apparently, coconut is considered a brain food. While glucose is a primary source of food of the brain, those with Alzheimer's have difficulty to process glucose for the brain. If that's the case, ketones could serve as fuel instead. Coconut oil makes ketones available to the brain. The theory was that coconut oil can "feed the brain" when the disease makes it hard to. There have been clinical trials regarding the use of coconut oil to people who suffer from Alzheimer's. However, it has been discontinued because the number of people who enrolled on the trial is not enough to establish proper results. 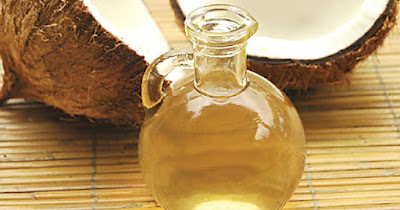 Nonetheless, there is no harm in trying coconut oil in treatments to prevent or cure Alzheimer's. It is advised to take it in moderation as it also has some side effects such as increased levels of protein and cholesterol. Until there are no high-quality trials in people, it could not be considered the ultimate cure for Alzheimer's.